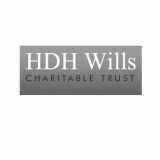 We were delighted in October 2015 to receive a wonderful donation from the HDH Wills Charitable Trust, to assist us in delivering our adult's residential respite programme. We are so pleased to be supported in helping vulnerable and potentially isolated adults in our community (and their families) to have the much needed r&r they deserve. Thankyou to all the trustees for their support.